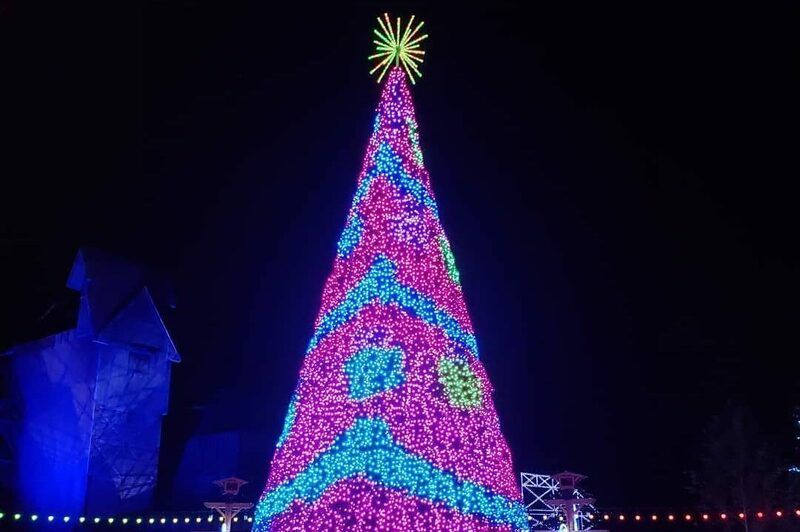 Glacier Ridge is Dollywood’s largest Christmas expansion since the festival began in 1990! The area stretches from Timber Canyon to the top of Craftsman’s Valley (it mirrors the footsteps of Great Pumpkin LumiNights). This addition will definitely put you in the Christmas spirit. 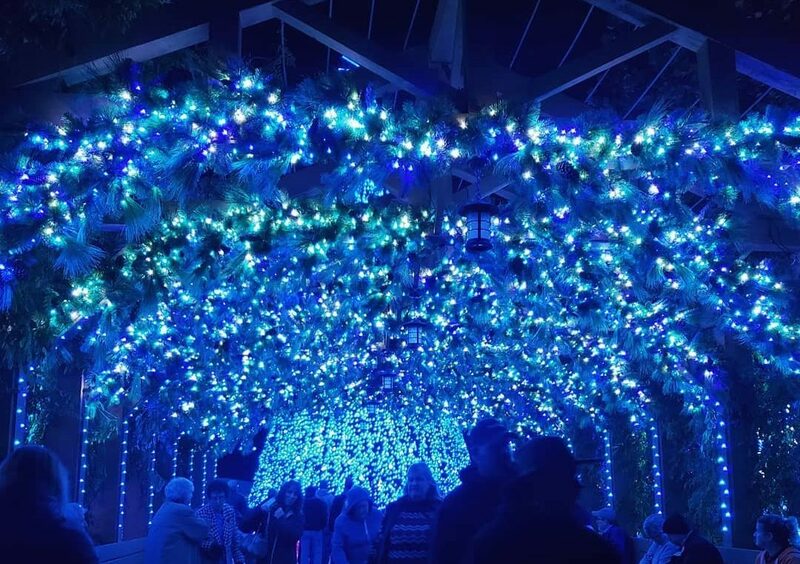 While the entire park is decorated beautifully and sparkles with five MILLION lights (oh yes, you read that right), don’t leave without walking through Glacier Ridge. With cool tones it has a different feel than the rest of the park and with “intelligent” lighting, it is a must see! 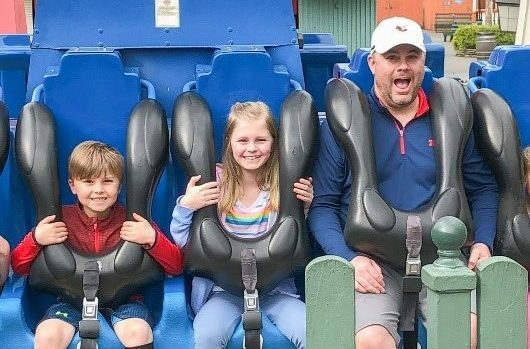 I’ll share a few specifics you will want to experience with your family. Wonderful Christmas– This is the Christmas tree show located in The Plaza at Wilderness Pass. 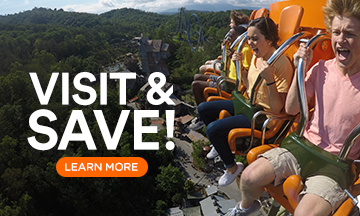 In my opinion, it is definitely first on the list of your must-dos! It stands 50 feet tall (even taller if you count the star on top) and this particular tree is different than any other tree you will see. Beginning at 6 p.m. every night (and every half hour after that), there is a seven-minute programmed LED light show! Everything about this tree is far more than you can imagine: the animation, twinkling lights, the music. IT. IS. PERFECT! My favorite part is when it changes to the “tree of many colors” as Dolly Parton calls it. Oh, and be on the lookout for snow at the end of the show! 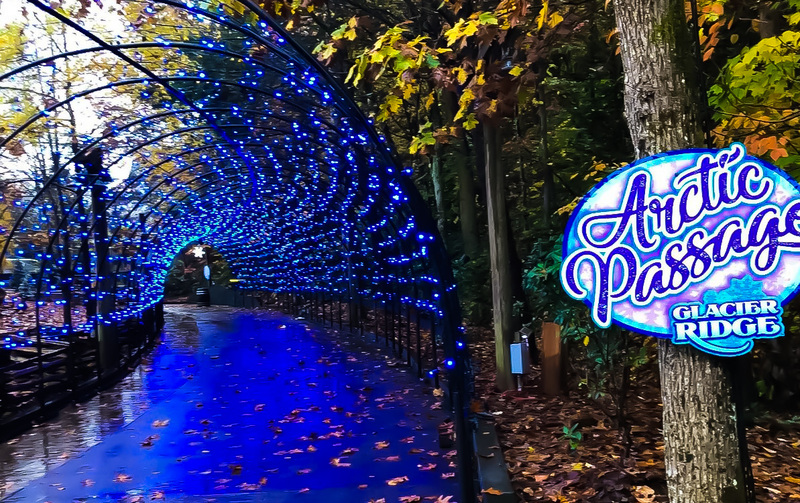 Arctic Passage– You’ll see this 130-foot lighted tunnel as you walk up from the Timber Canyon side of Dollywood. This tunnel of lights is programmed with “intelligent” lighting and the colors are stunning at night! Your kids will love running through here—and, you’ll want to get them to pause for pictures. It’s that cool! Polar Bears– The Arctic has frozen over and given polar bears the opportunity to roam a little further from home to visit their Smoky Mountain cousins. 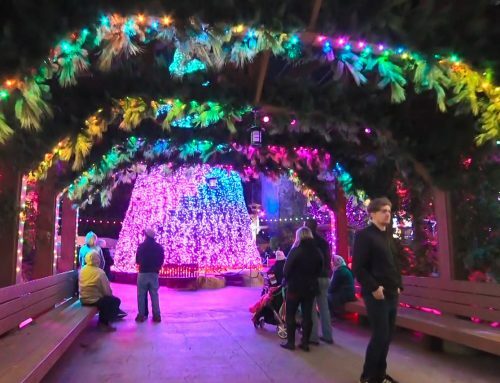 You’ll catch some of that idea during the tree show in The Plaza, but look for these fury friends at Drop Line Bay and in Craftsman’s Valley. They look real! 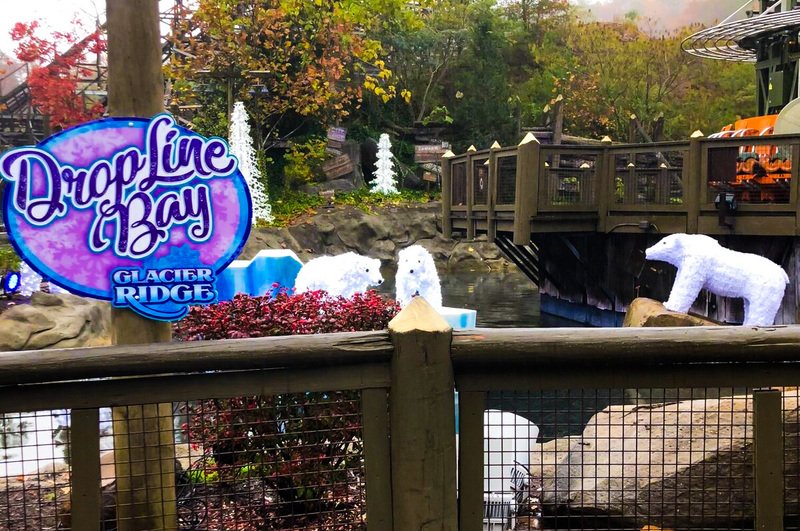 As the lights from the iced trees glisten on the water, you are sure to feel like you are in a winter wonderland. The Northern Lights: Last but not least, you absolutely have to see and walk through the area that looks as if you are experiencing the northern lights. It’s Tennessee’s take on aurora. Breathtaking is the best way to describe it! These lights are located between Tennessee Tornado and Blazing Fury. 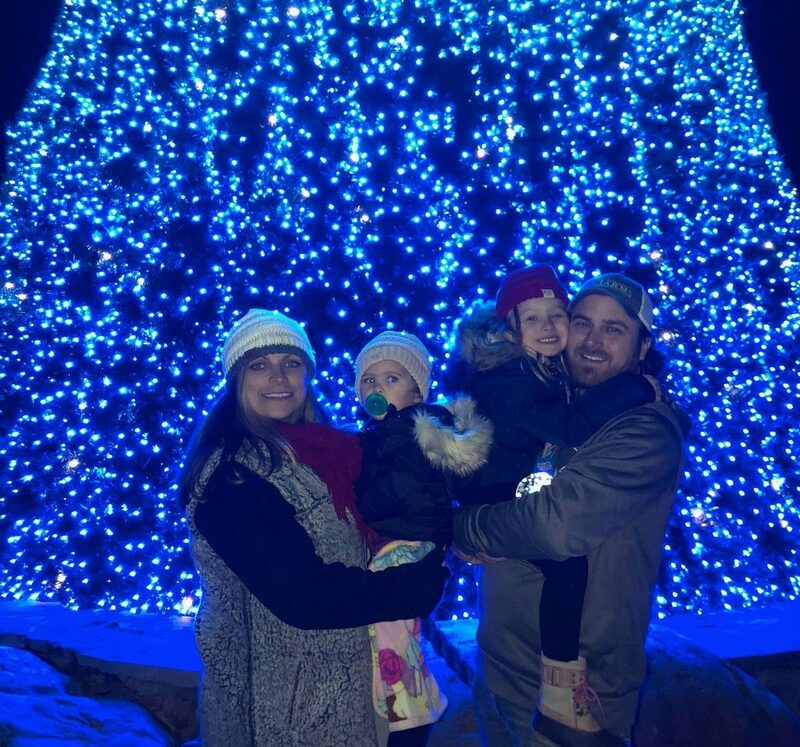 If you are planning a trip to visit Dollywood this Christmas season, make time to soak in these special moments together as a family! 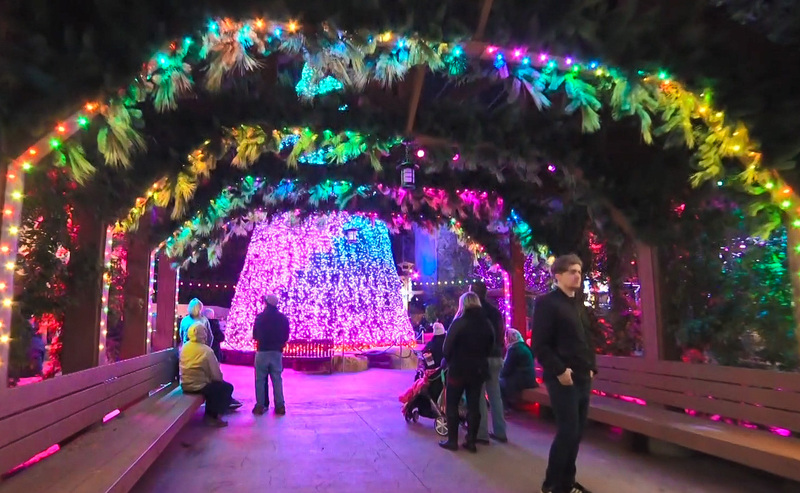 Plan to enjoy the park after dark, because that’s when you really see festive lights everywhere you turn. Merry Christmas from my family to yours! 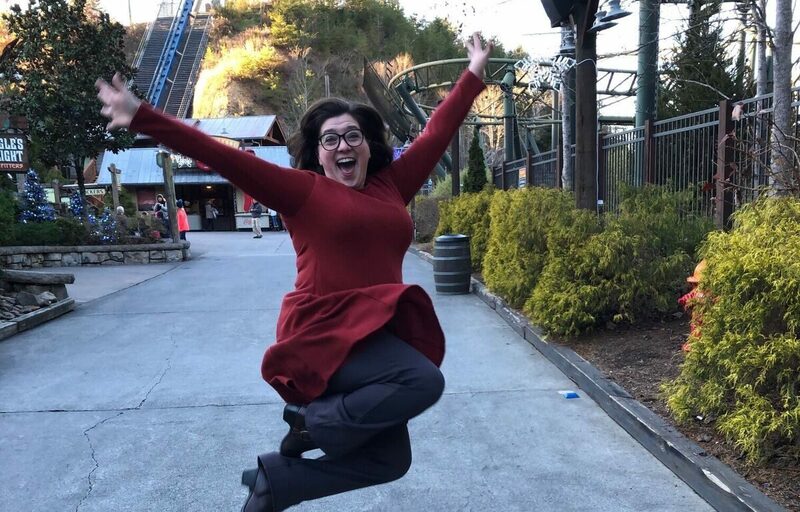 PJ Narramore (Dollywood Insider 2018-Now) is an East Tennessee native, a simple Southern girl, proud wife, blessed momma, farmer and business owner. She enjoys spending time with her husband and two daughters, making memories and having as much fun as possible. 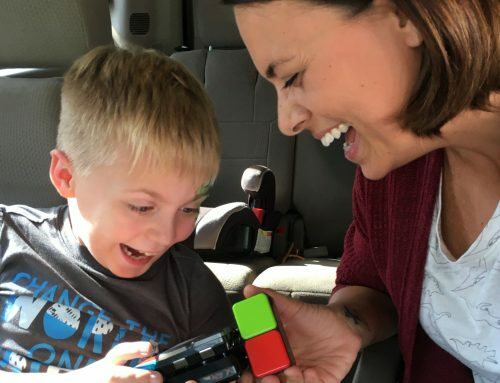 PJ says most of her free time is spent at Dollywood and loves staying at Dollywood’s DreamMore Resort and Spa, or Dolly’s house (as her daughter calls it). 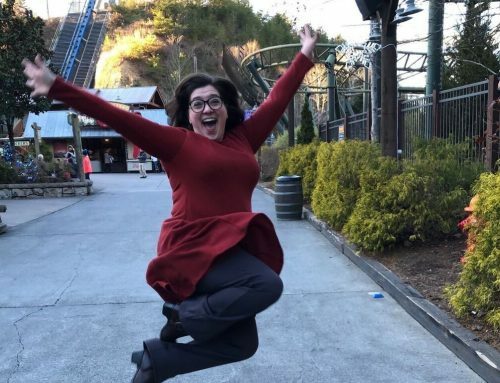 She has visited Dollywood for 25 years and now loves recreating some of her fondest childhood memories with her children. 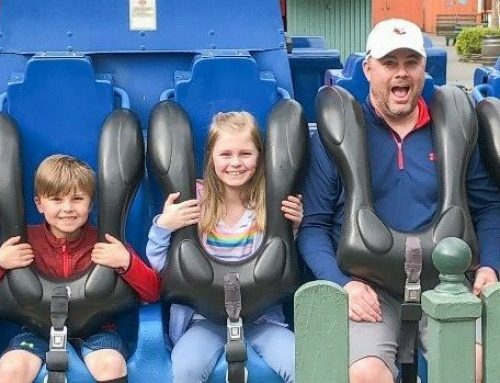 In doing so, PJ’s family has started new traditions that involve the theme park, water park and resort. Her family motto is work hard, play hard and love harder!